For me, entering the DIY lifestyle went a lot like this: get really excited about a project, go buy everything needed for said project, make wonderful project, and then forget where all those supplies are when it’s time to make it again. Multiplied by, oh, 25 projects. Thankfully, I’ve learned some tricks over the years to keep that from happening (too often, anyway). Keeping DIY supplies organized not only keeps your home from getting too cluttered, but it’s a great way to save even more time and money on an already benefit-rich lifestyle. 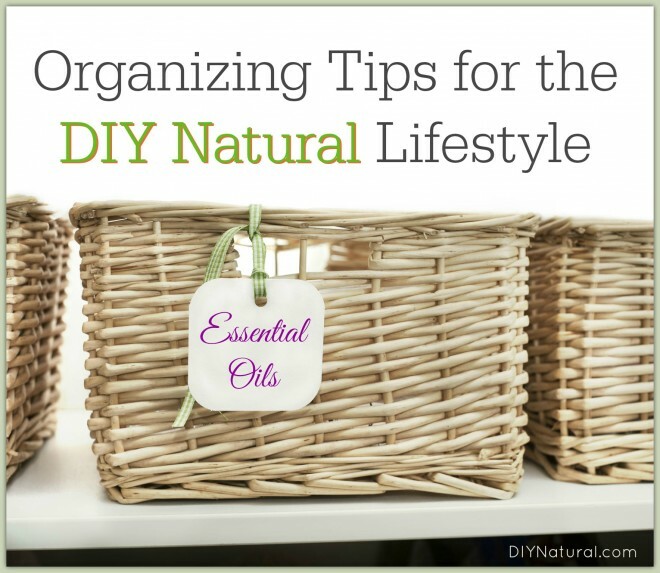 These simple organizing tips will help you get – and stay – organized! Do you have an empty shelf or closet in your home that you can use to store all your DIY goodies (or that can be de-cluttered for this purpose)? Designating a space to keep your DIY stuff organized means a less cluttered house and projects you can get done much faster because you’re not looking all over the place for the tool you forgot you put up in the attic. Set aside a space outside where you can keep supplies/ingredients for outdoor projects. Whether it’s a shelf or a whole shed, you can use it to store gardening tools and seeds, items for the car, and other outdoor project essentials. One of the wonderful things about DIY projects is that many call for similar supplies and ingredients. To keep things simple and organized, group like items together in one place to make it easy to find everything you need. Or, you know, don’t buy anything at all. For many projects, it’s a good idea to buy supplies you need because you’ll be making it over and over again – things like shea butter, castile soap, essential oils, herbs, etc. However, it’s also great to borrow what you need. Why? Because building relationships with other DIY-ers makes this lifestyle more enjoyable. If your best friend has all the soap making supplies already, see if you can just borrow what you don’t have. You can even gift a bar or two of your finished project to say thanks. I’ve noticed that in experimenting with DIY projects, I’ve found several favorites that I make over and over, like bar soap, laundry detergent and yogurt. However, there have been a few projects I made once and never did again, for whatever reason. Yet, I still kept certain supplies and ingredients just in case. Thankfully, I’ve learned not to let “just in case” dictate my life and regularly go through my home and remove items I no longer use. If you’re doing your spring cleaning, now is a good time to purge what you don’t use and sell or give it away to make space for the rest of your DIY items.